On Tuesday, February 12, 2019, Margaret E. Wagner passed away peacefully at the age of 95. 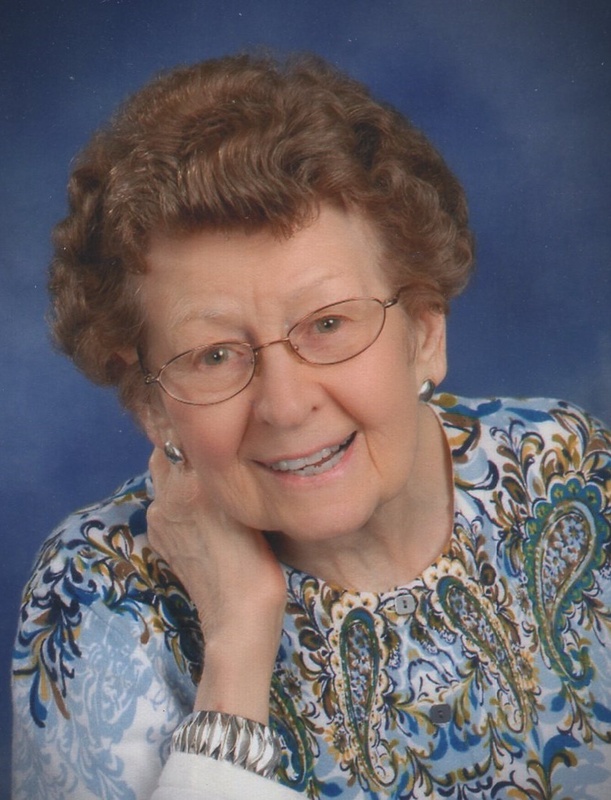 Margaret dearly loved her family and enjoyed spending time with her grandchildren. She was preceded in death by her husband, George. She will be lovingly remembered by her children, Gerard (Linda) Wagner, and Sue (Brad) VanderStel; her grandchildren, Holly VanderStel, Andrea VanderStel, and Kevin Wagner; her sisters, Theresa (Jack) Urquhart, and Dorothy Miner; her brother-in-law, John Duprey; her sisters-in-law, June Carroll, Joan Wagner, and Sally Wagner, and her nieces and nephews. Visitation will be held on Thursday, February 14, from 2 - 4 and 6 - 8 pm at Stroo Funeral Home. The Mass of Christian Burial will be celebrated 11 am Friday, February 15, at St. Mary Magdalen Catholic Church, 1253 52nd Street SE, with Rev. Fr. Peter Vu as celebrant. Interment will be in Resurrection Cemetery. Memorial contributions may be made to the Activities Fund at Vista Springs Wyoming.